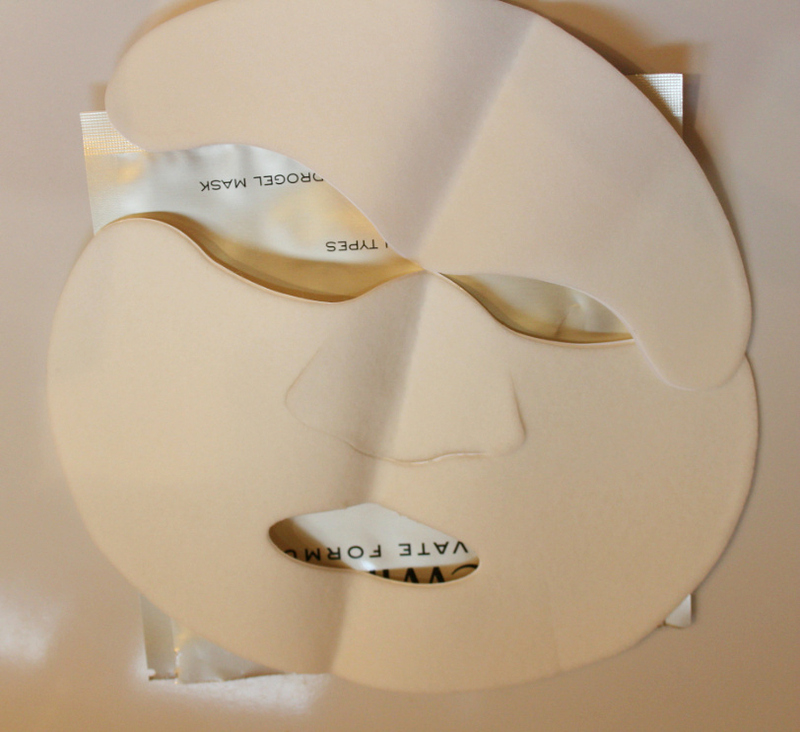 The sheet mask actually comes in two separate pieces, so you remove the backing layer and apply the sheet mask in two parts, the forehead part and then rest of the face part, smoothing out any creases as you go , ensuring as much of the mask as possible is in contact with your skin. 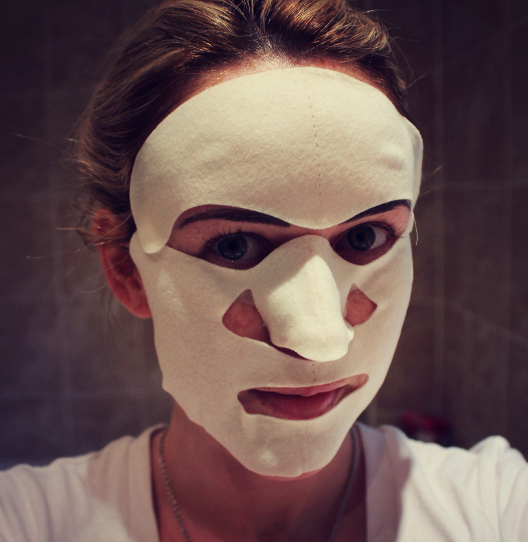 The feel of the mask reminded me of those Kool 'n' Soothe Kids Strips (from the 'I'll Survive' advert!) as it's actually a hydrogel formula (enabling better absorption of active ingredients deep into the skin for more effective results, apparently) so is incredibly cooling to the touch but not wet or slimy. The only other sheet masks I have used previously were the Olay Total Effects Cloth Masks which were good, but were so heavily saturated they dripped everywhere the entire time. I much preferred this as my skin felt cooled, soothed, nourished and hydrated but there was no mess or fuss when it came to application, wearing or removal. The mask looked really strange - as you can see! I had family genuinely double taking as they caught glimpse of me (it elicited an 'AH JAYZUS from the Irish grandparents!) 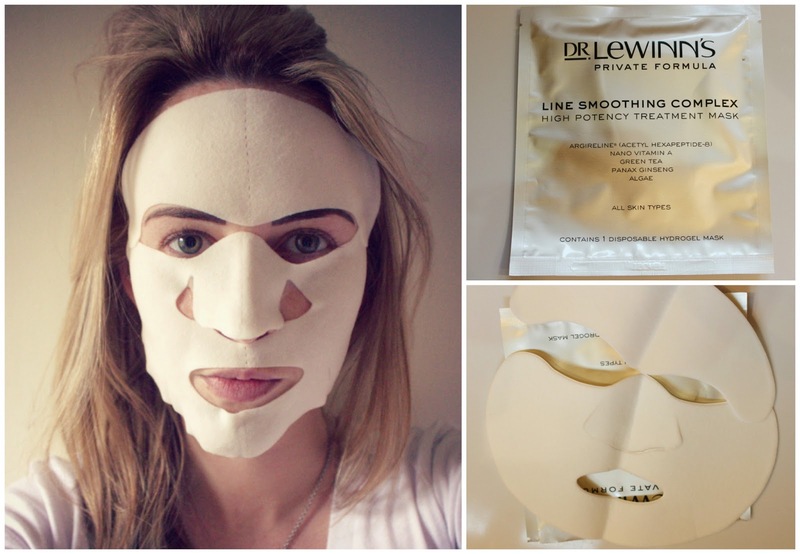 so obviously be prepared for that and the fact you can't really talk/eat/do much whilst wearing it as facial movement is pretty limited, it's definitely a lie-down-and-chillax type face mask. It says to wear for 15-20 minutes but I didn't want to take it off! It honestly just felt so delightful I think I wore it for about 30 minutes before I finally caved and peeled it off. After removing you don't need to wash your face as there is no residue left and my skin looked fresh and glowing and felt so smooth to the touch with zero redness which was a happy surprise as my skin is very sensitive to face masks and I often go a lovely shade of pink immediately after, so I would definitely give this two thumbs up for us sensitive/red-skinned gals as the green tea leaf extract definitely calms and soothes the skin. 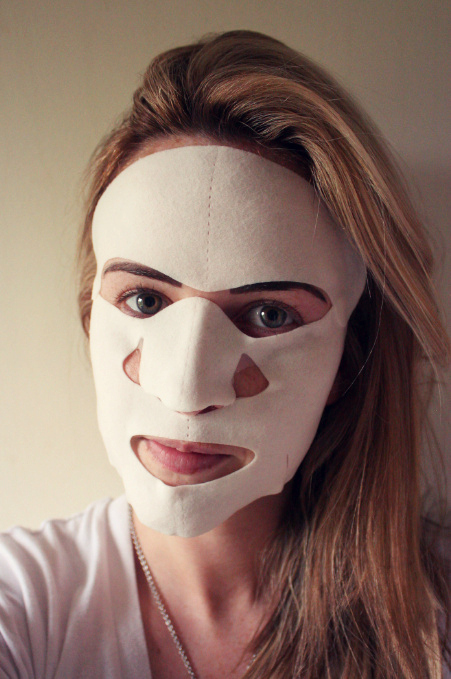 One downside I did find was that it was nigh on impossible to get the mask to stick properly around the nose area - it's pretty clear in the photos it's peeling away at the sides of my nose - which was an annoyance as it a) felt strange and b) I suffer from dryness/dullness around that area. Also - what's with the little triangular holes in the cheek area? Seriously? Anyone care to venture a guess?! Odd. 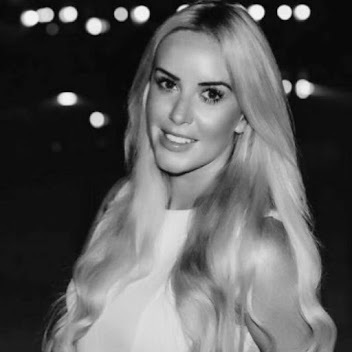 Overall I am really impressed by these masks and will be using them as a Sunday pamper skin booster treat, or before a big event and I will definitely be bringing one or two along on my holiday at the end of the month to soothe my sore, sun drenched skin and might even try and get the boy in one too! 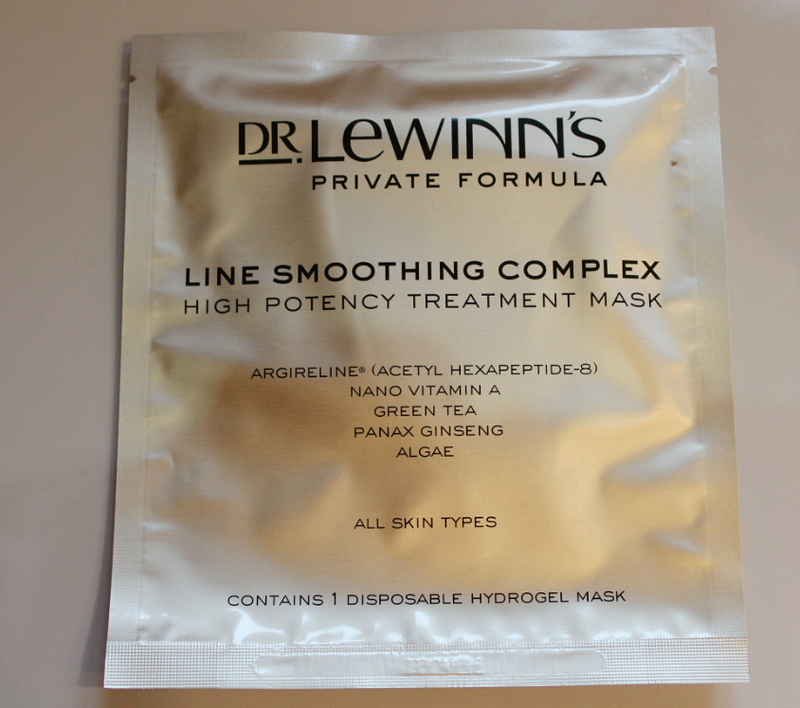 Dr Lewinn's Line Smoothing Complex High Potency Treatment Mask 6 Disposable Hydrogel Masks cost £46 for 6 masks but I picked them up in the 40% off sale last month for £27.60 - so do keep your eye on the Dr Lewinn's site for future sales and offers. Acetyl Hexapeptide-8 (Argireline ®) reduces the appearance of expression lines. Green Tea Leaf Extract calms and soothes with Anti-oxidant protection. 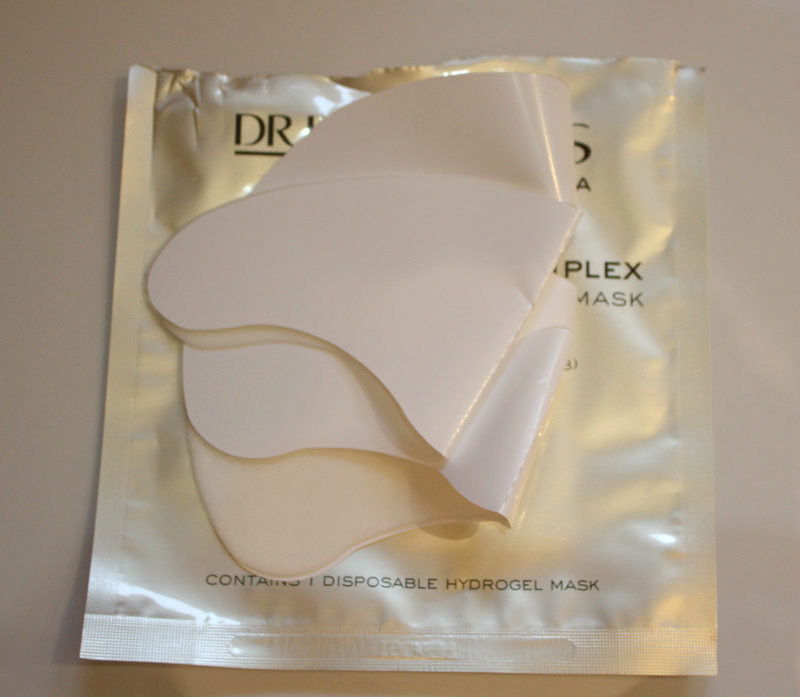 Sodium Hyaluronate intensely hydrates the skin. Panax Ginseng Root Extract Revitalises, tones and tightens the skin.